The Pulitzer Prize Board announced the award of $40,000 to Michigan Humanities (MH) for Michigan Youth Journalism Experience, a program to commemorate the 100th anniversary of the Prizes in 2016 through Pulitzer’s Campfires Initiative. Working in partnership with the Michigan Interscholastic Press Association (MIPA) and the Michigan State University (MSU) School of Journalism, MH will create a high school level journalism competition that allows students throughout Michigan to compete for the opportunity to meet and work with Pulitzer Prize winning journalists at a Pulitzer-themed Conference in the fall of 2016. “The Michigan Humanities is pleased to partner with Michigan Interscholastic Press Association and Michigan State University School of Journalism on this initiative to create a high school journalism competition,” said Jan Fedewa, interim executive director. “It is a once in a lifetime experience for high school students to meet and work with Michigan’s outstanding Pulitzer-prize winning journalists. 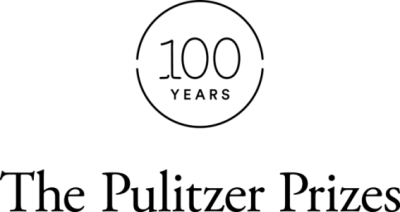 We are excited to receive the $40,000 grant to support this special initiative celebrating the 100th anniversary of the Pulitzer Prizes in 2016. For the competition, the students will create broadcast, visual, print, and/or social media pieces of journalism highlighting the four themes outlined by the Campfires Initiative. Each school will hold their own competition and select a student’s work to submit to the MSU School of Journalism. Professional journalists will judge the submissions based on established criteria and approximately 25 pieces will be selected. These student authors will be invited to participate in the Pulitzer Conference as special attendees and will receive a scholarship to cover associated costs. The winning students will have the opportunity to work with Michigan’s Pulitzer Prize winning journalists in small workshop settings. The Pulitzer journalists’ work represents what it takes to be the best in the field. The competition and conference will be an opportunity to pass those skills and wisdom forward to the next generation of journalists. To prepare for the centennial, the Pulitzer Prize Board announced the Campfires Initiative, which aims to ignite broad engagement with the journalistic, literary, and artistic values the Prizes represent. To inspire year-long programming throughout the country, the board partnered with the Federation of State Humanities Councils on the initiative. After a review of grant proposals, the Pulitzer Prize Board awarded more than $1.5 million to 46 state humanities councils. The programs will feature Pulitzer Prize-winning work in journalism, arts and letters, and music. The goal of the board and the Federation of State Humanities Council is to engage American communities in discussion about the values these disciplines represent. “We look forward to bringing the centennial to life next year with a diverse array of council programming that reconnects Americans with the nation’s amazing cultural production of the last 100 years,” said Esther Mackintosh, president of the Federation of State Humanities Councils. The Federation and the Pulitzer Prize Board, which is headquartered at Columbia University, developed this initiative together. It is supported by grants from the Andrew W. Mellon Foundation, the Ford Foundation, Carnegie Corporation of New York, the John S. and James L. Knight Foundation, and the Pulitzer Prize Board.